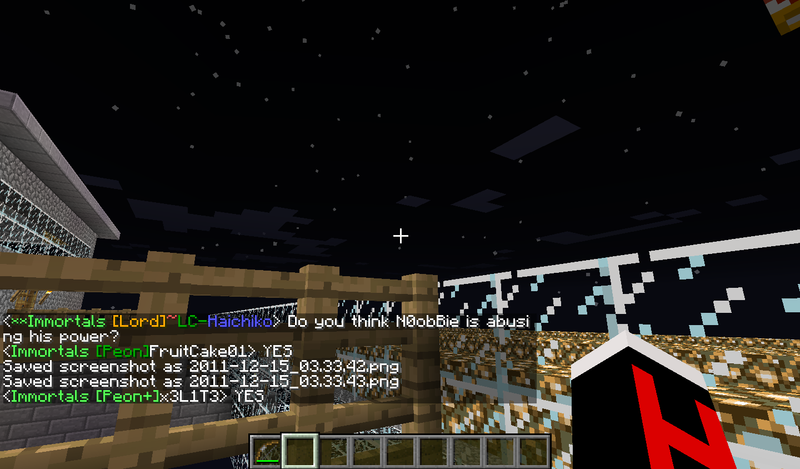 N0obBie Abusing his power and I ban him with a reasons! Hey guys, I ban N0obBie because he is abusing his power. His unclaim my Kingdom and then he let xWhiteYukii claim the land and he also grief my kingdom. He is abusing his power! CLICK THIS LINK BECAUSE THIS PICTURE IS SMALL SO CLICK THIS LINK TO SEE IT ON LARGER! He is abusing his power to unclaim my land! Haxious and Reki you should ban him forever! in peaceful manners.And,HIS own immortal members would support him wouldnt it -_-. And as i said they did not think carefully,they did not think that n0obbie could unclaim and let hak claim again and that result a ban? Bealong, after I left the game and I using other account, I saw what Noobie and Yukii was doing. Bealong yes you did not see the where he grief because I already rebuild it. So, you dont know anything about it so shut up.. You did know what he talk to me, he said something that not supposed so said. If you dont know this problem just shut up and do your own bussiness. That's is not fair for players. Do your own bussiness bealong. It's up to you Haxious to decide but if you think you should unban Noobie and make him admins and op back. You sure will lose many players. And no one will join again. After I ban him, I unclaim Darkness land that is in my kingdom and claim it back. Oh and bealong, of course you did not see the land that claim by Yukii because I already remove/unclaim the land and claim it back. Bealong, you are so late so you dont know anything about it!! 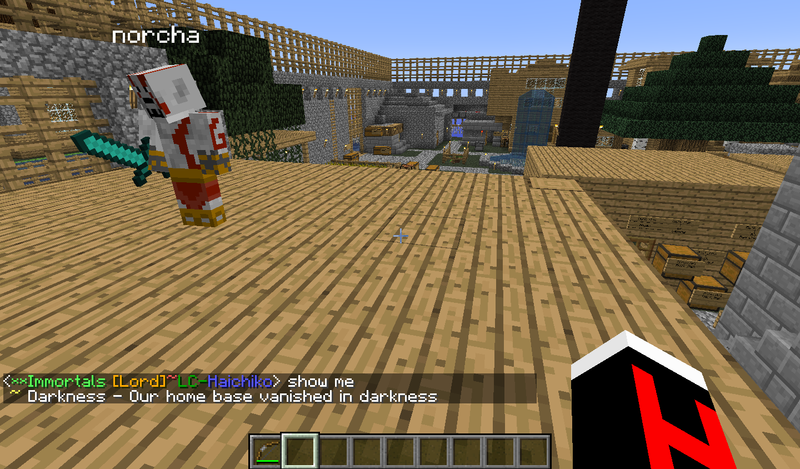 And before Noobie was ban, I told Yukii to unclaim the land nicely but then he left the server and a few minutes later he join back and said ''MUHAHAHAHA'' and he left the server again. Haxious, you should ban Noobie and Yukii forever if you want the right thing. My kingdom will destroy and thank you for that!! If you unban Noobie, you sure lose many players because Noobie is abusing it and I will make a video about it later. Haxious, your make your decision. Okay, unban him and make him peon and we will hear what he has to say. I will be online today but dont know what time because my cousin is using the computer. Subject: Re: N0obBie Abusing his power and I ban him with a reasons!